Over the past year, several readers of this blog have asked me about the best exercises for the brain. I listed a few in an article I wrote called "Brain Activities to Lower Alzheimers Risk," which some of you may have missed. I'll repeat those exercises here, but I am also going to add some that I have recently heard about. After all, we need all the advise we can get, if we want to keep our brains in top shape as we age! In the AAA Westways Magazine for July/August, 2012, there was a short article about brain boosters. What I particularly liked about their article was the statement, "any type of exercise will help the brain." That was certainly good news, because most of us do not strictly follow a brain building program! Another thing I liked about the Westways Magazine list was the fact that their exercises are designed especially for people who are traveling ... which a lot of us Baby Boomers will be doing, especially after they retire. By putting all the different exercises together, I've come up with the following list. Practice memorizing lists of words, by using silly word associations. 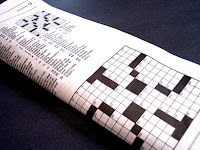 Do crossword puzzles, soduku or similar word games. Learn something new and difficult, such as playing an instrument, speaking a new language, or developing your computer skills. Socialize. There is a great deal of research that shows it hurts your physical and mental health to let yourself become isolated. Get out and meet people. Join a club. Learn to play bridge. (If it is new to you, it is even better for your brain.) Make sure you are having fun with other people several times a week. Do cardio exercises to get the blood pumping to your brain. Try walking fast, riding a bike or using a treadmill or the exercise equipment at your local gym or hotel fitness center, when you are on the road. When you are on a trip, you should also walk as much as you can. The fresh air and exercise are both good for your brain. Do strength building exercises, like push ups, or use free weights to build strength. Building muscle also helps keep the blood flowing. Dance! Put on some music you love, and dance, dance, dance. If you enjoy it, sign up for line dancing classes or jazzercise. Try using two or more senses at once. Walk up and down the aisle of a train or plane while you are traveling, which requires you to keep your balance, while using your eyes, sense of touch, etc. Laugh. More and more often I hear about the benefits of laughing aloud several times a day. It is good for our heart, brain and overall health. Take a few deep breaths several times a day. Inhale, hold your breath; exhale, hold your breath. Repeat. Sleep. People who have at least seven hours of sleep a night seem to do better on many different types of health evaluations. Finally, it is important to eat well. While this is not an exercise, it should be mentioned in any article about brain health. Include good quality protein and a variety of fruits and vegetables in your diet every day. If you are interested in more information about your health as you age, financial planning, where to retire, changing family relationships and more, use the tabs or pull down menu at the top of the page to find links to hundreds of additional articles. If multi-tasking is good for the brain, I'm going to be in tip-top shape! Thanks for great ideas to keep the brain healthy. I agree, Domestic Diva, that your brain is quite good at multi-tasking. 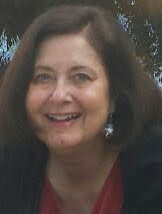 I don't know how you are able to write screenplays, create new craft ideas, and plug out articles now and then, too!